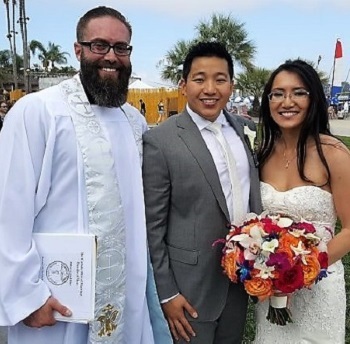 My dear friends, let us turn to the lord and pray that he will bless this couple and unite them in holy marriage today. Father you have made the union of husband and wife so holy as it symbolizes the marriage of two humans through Christ to God. seeing their love as a gift to be treasured. May the commitment which they are making be sacred not only for today but for the rest of their lives.